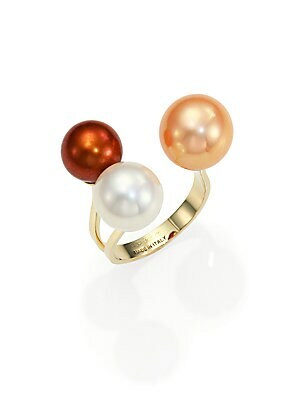 A twist on the classic pearl stud, this one-sided style features a hooked back drop. 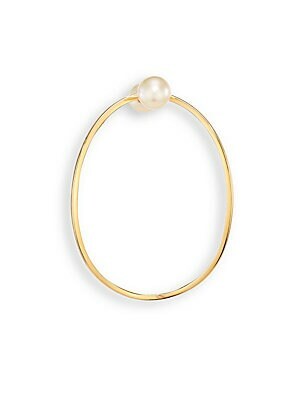 Cultured freshwater pearls Goldtone Drop, about 1.6" Post back Imported. Fashion Jewelry - Modern Jewelry Designers. Delfina Delettrez. Color: Gold Pearl. 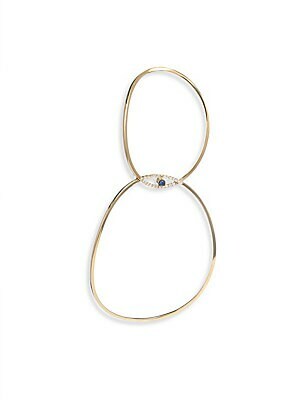 From the Earclipse Collection Sleek double-hoop design with sapphire-inset pavé eye Diamonds, 0.07 tcw Blue sapphire 18K yellow gold Drop, 4.5" Post back Made in Italy. Fashion Jewelry - Modern Jewelry Designers. Delfina Delettrez. Color: Gold. 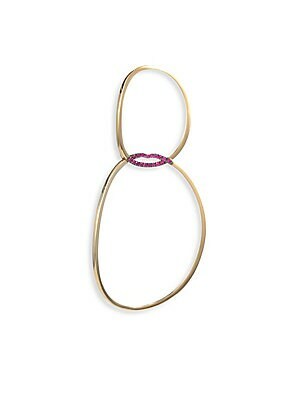 From the Earclipse Collection Sleek double-hoop design with sparkling ruby lips Ruby 18K yellow gold Drop, 2.52" Post back Made in Italy. Fashion Jewelry - Modern Jewelry Designers. Delfina Delettrez. Color: Gold. 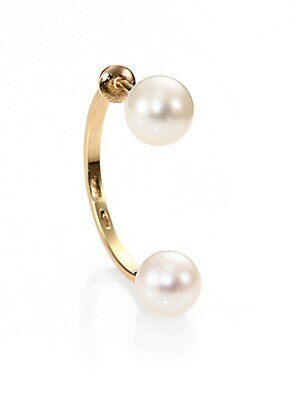 Slender gold hoop backs luminous pearl stud White round pearl, 5mm 18k yellow gold Drop, 1.5" Diameter, 1.2" Post back Made in Italy. Fashion Jewelry - Modern Jewelry Designers. Delfina Delettrez. Color: Gold.